 Reproduction of an original wartime Iodine Swabs box for 6 Iodine Swabs.  Reproduction of an original wartime Motion Sickness box.  Reproduction of an original wartime Dyed Sterilized Dressing box. 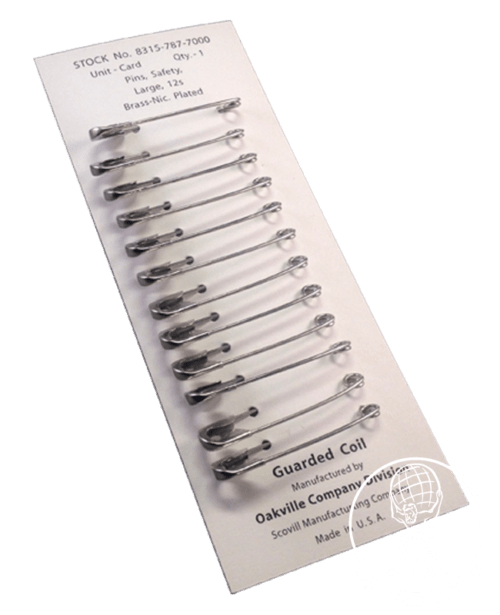 A reproduction of an original wartime Safety pins card with 12 safety pins (45 mm long). 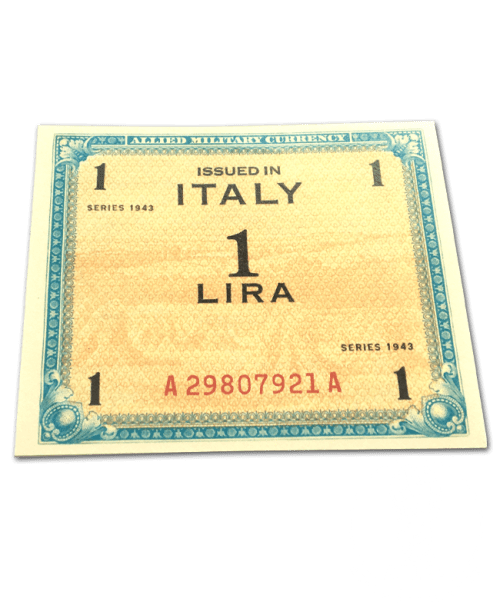 Reproduction of a 1943 1 Lire Banknote. 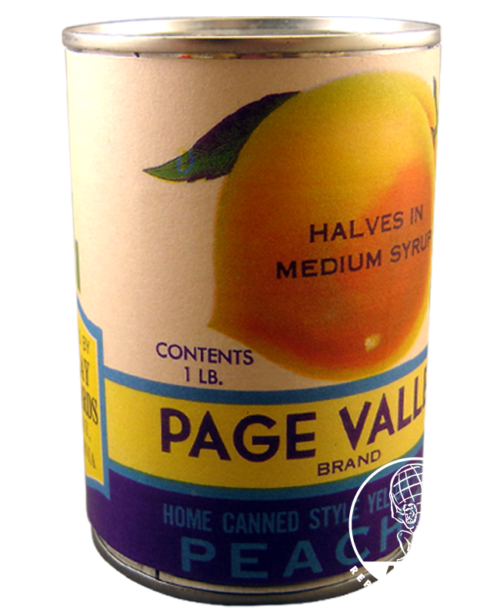 Printed on off-white (cream) paper. 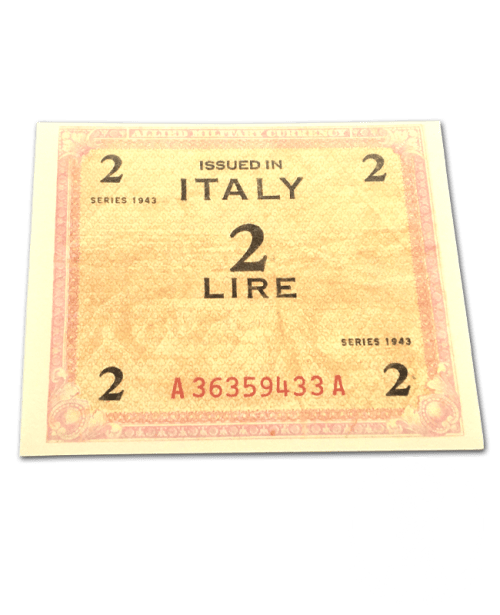 Reproduction of a 1943 2 Lire Banknote. 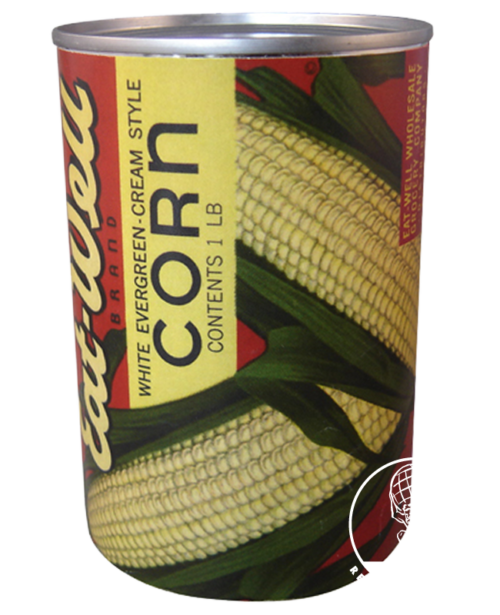 Printed on off-white (cream) paper. 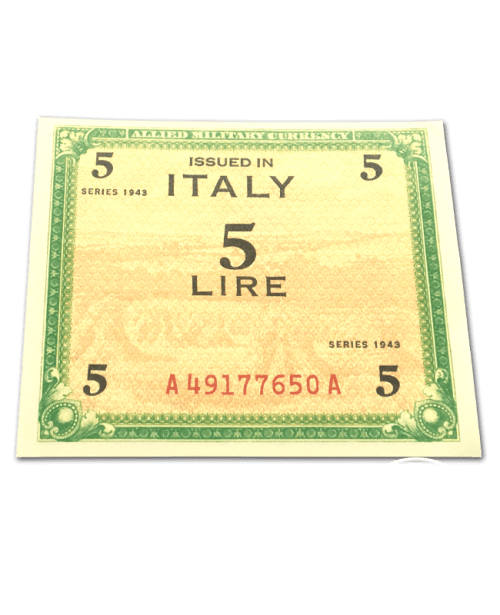 Reproduction of a 1943 5 Lire Banknote. 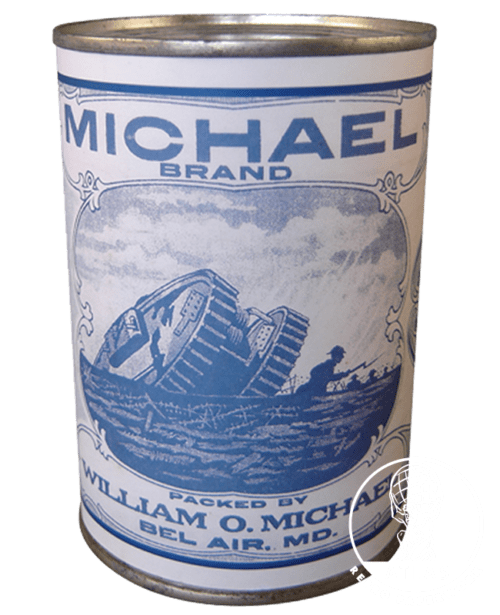 Printed on off-white (cream) paper. 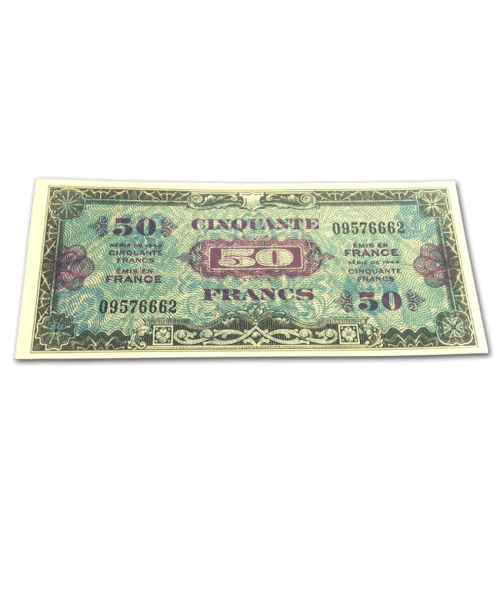 Reproduction of a 1943 50 Lire Banknote.  Printed on off-white (cream) paper. 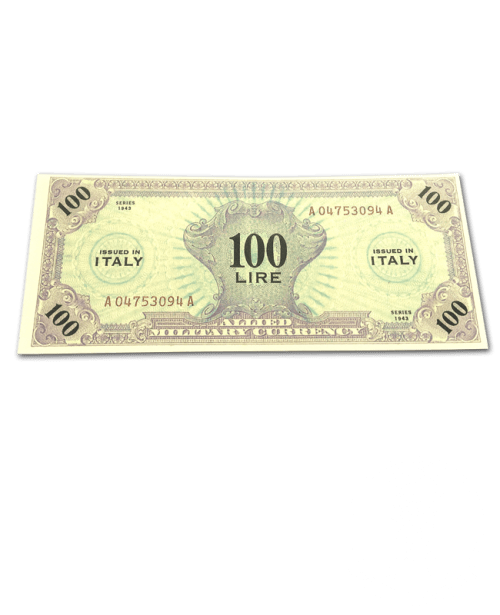 Reproduction of a 1943 100 Lire Banknote. 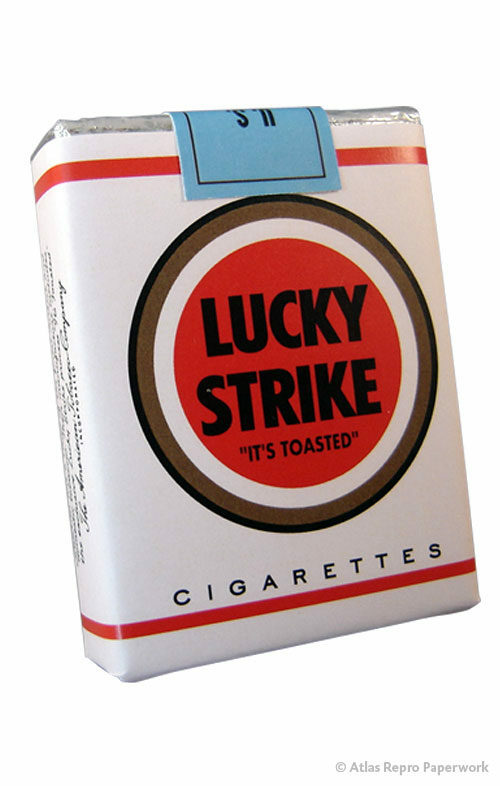 Printed on off-white (cream) paper. 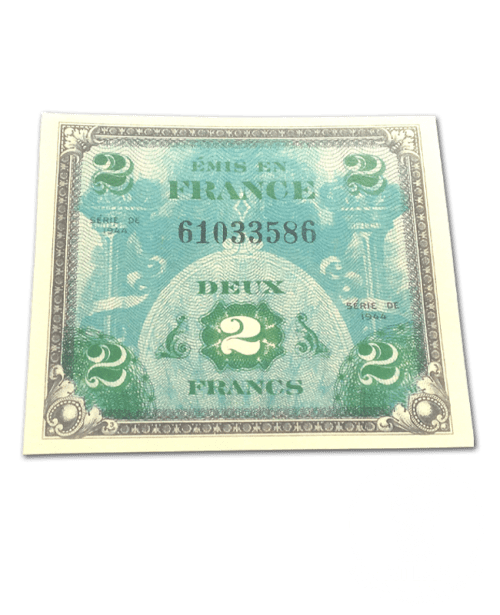 Reproduction of a 2 Francs Banknote from1944. 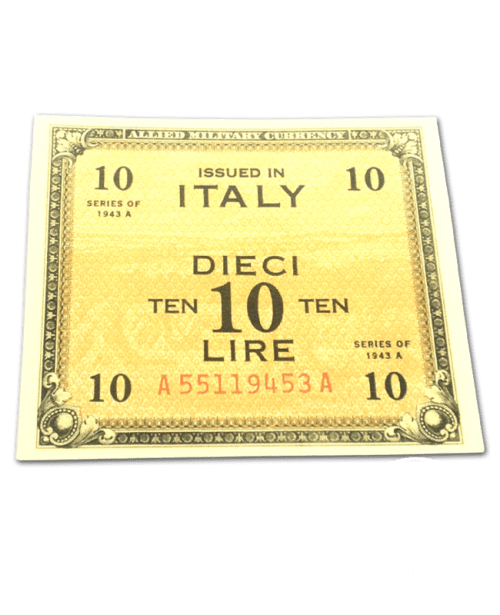 Allied Invasion Currency, as issued to all Allied personnel prior to D-Day in oder to help the French economy. 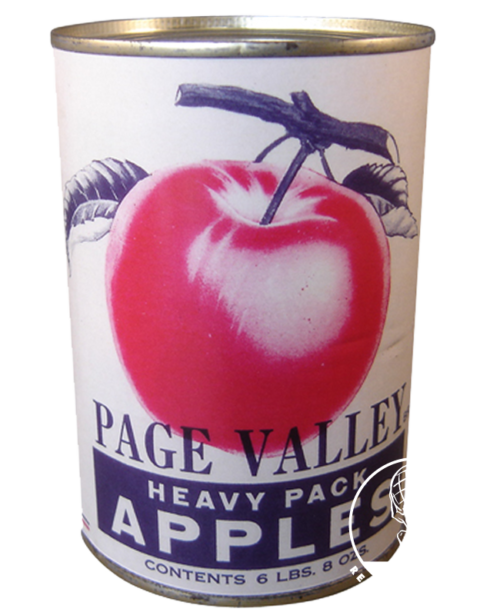 Printed double sided in full colour on off-white (cream) paper. 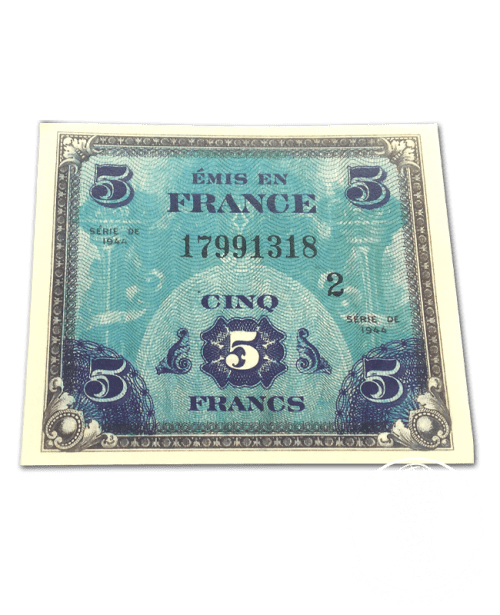 Reproduction of a 5 Francs Banknote from1944. 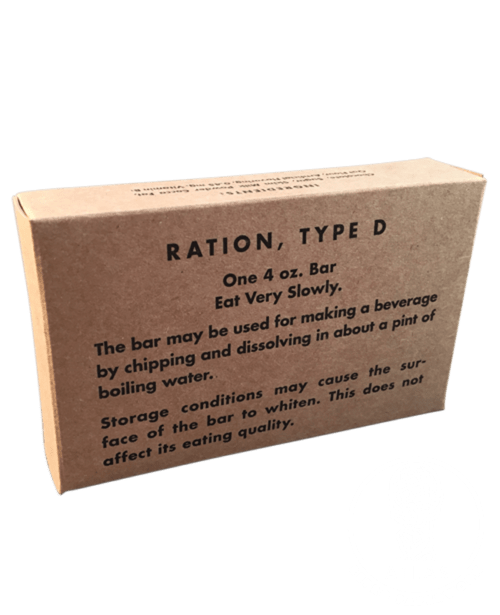 Allied Invasion Currency, as issued to all Allied personnel prior to D-Day in oder to help the French economy. 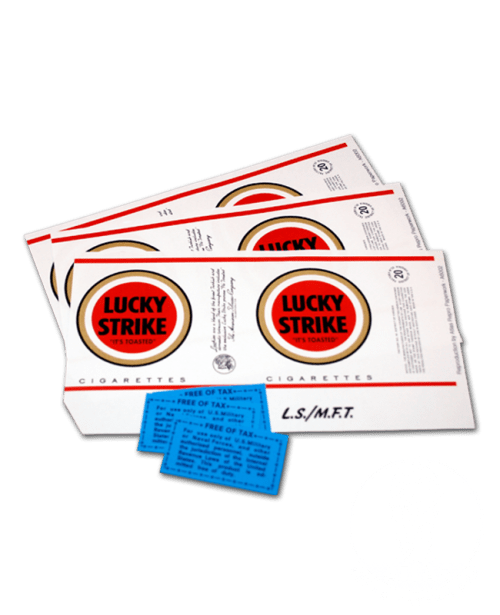 Printed double sided in full colour on off-white (cream) paper. 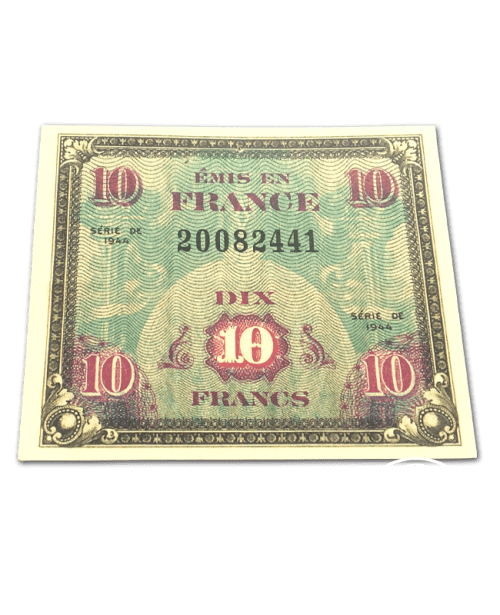 Reproduction of a 10 Francs Banknote from1944. 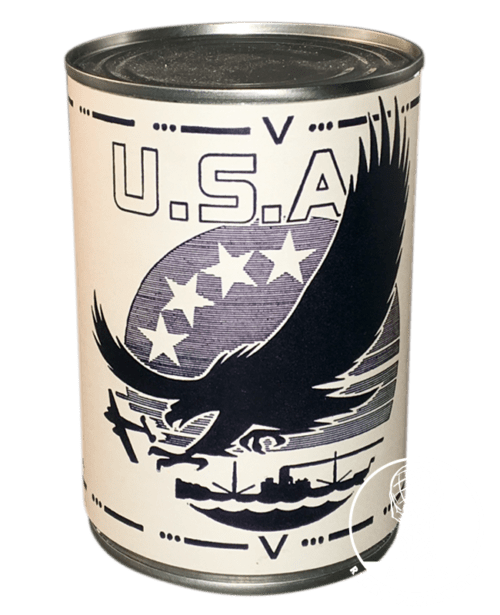 Allied Invasion Currency, as issued to all Allied personnel prior to D-Day in oder to help the French economy.  Printed double sided in full colour on off-white (cream) paper. 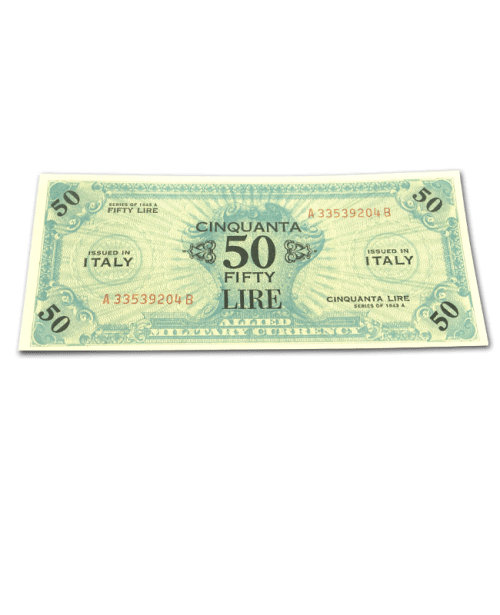 Reproduction of a 50 Francs Banknote from1944.  Allied Invasion Currency, as issued to all Allied personnel prior to D-Day in oder to help the French economy. 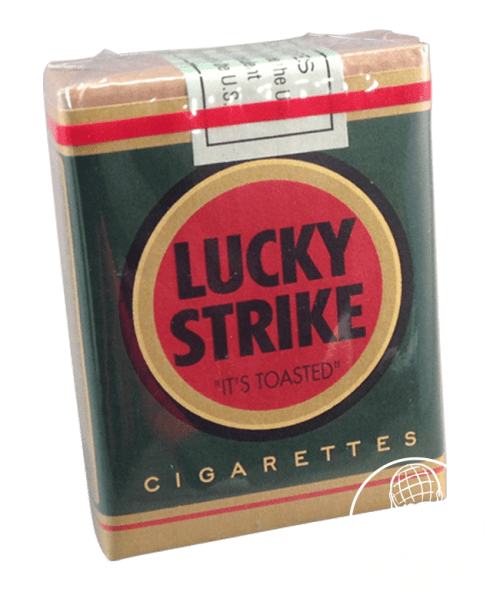 Printed double sided in full colour on off-white (cream) paper. 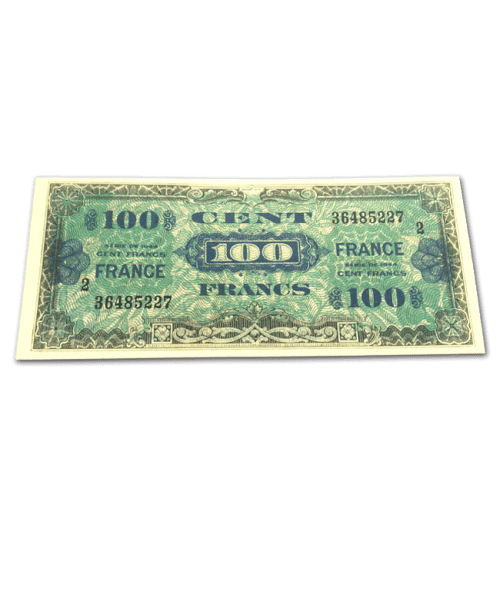 Reproduction of a 100 Francs Banknote from1944. 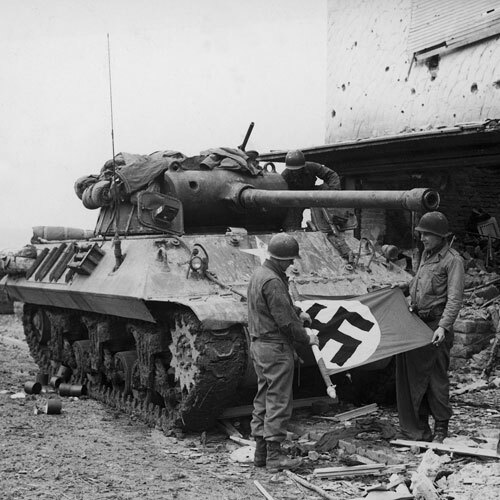 Allied Invasion Currency, as issued to all Allied personnel prior to D-Day in oder to help the French economy.  Great to shove in your pocket. 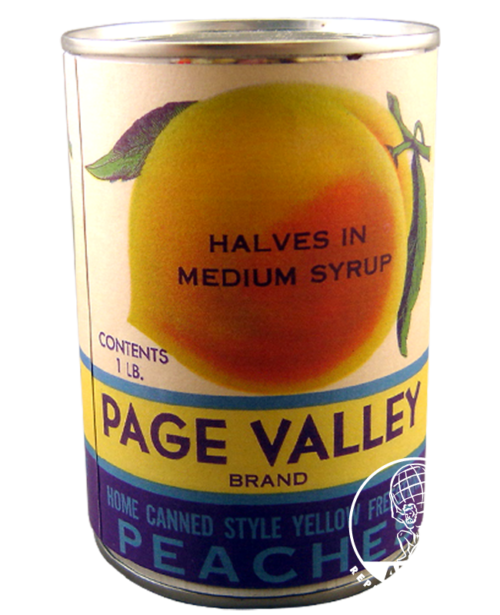 Printed double sided in full colour on off-white (cream) paper. 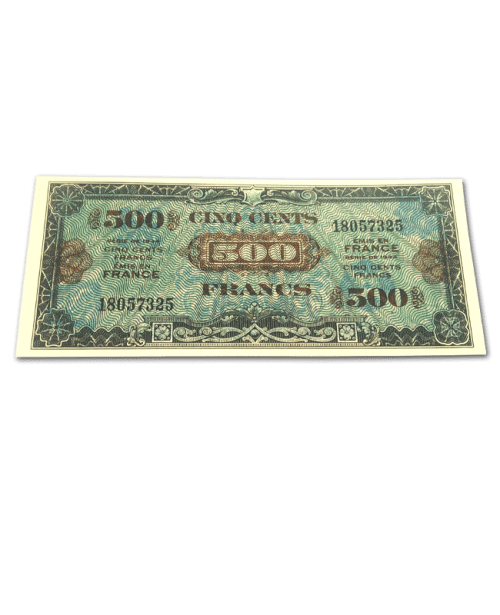 Reproduction of a 500 Francs Banknote from1944. 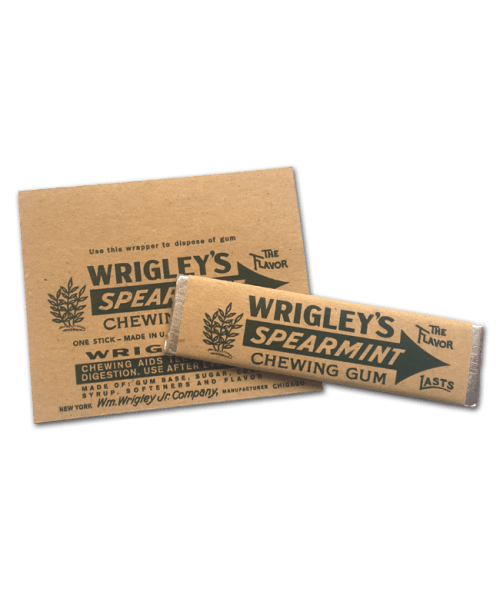 Allied Invasion Currency, as issued to all Allied personnel prior to D-Day in oder to help the French economy. 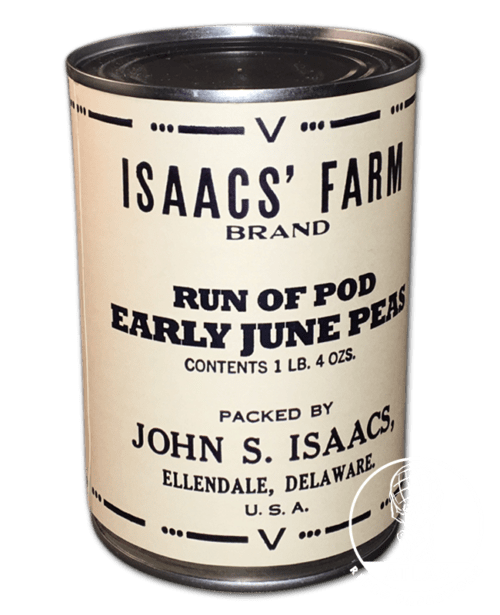 Great to shove in your pocket. 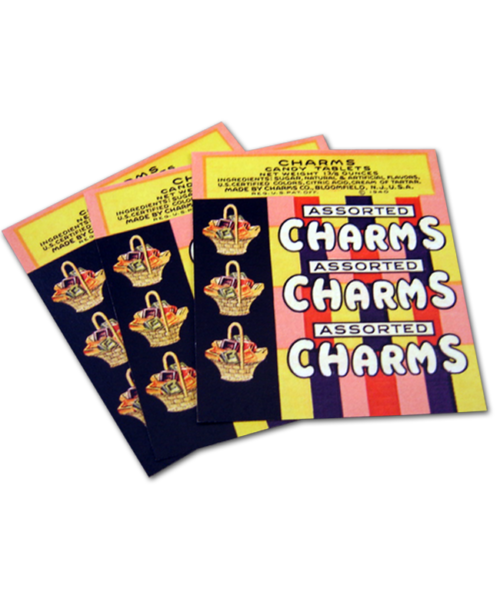 Printed double sided in full colour on off-white (cream) paper. 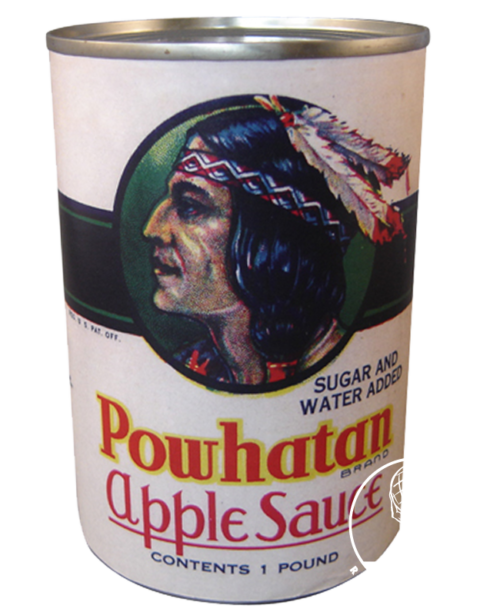 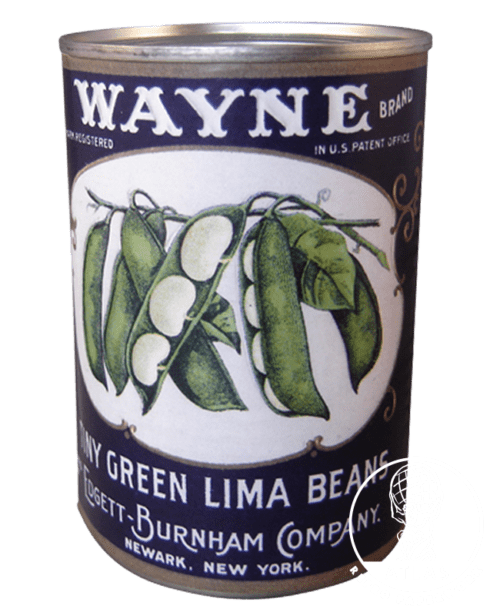 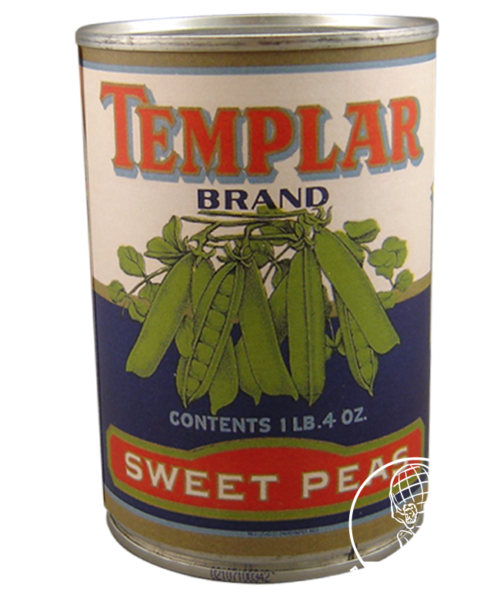 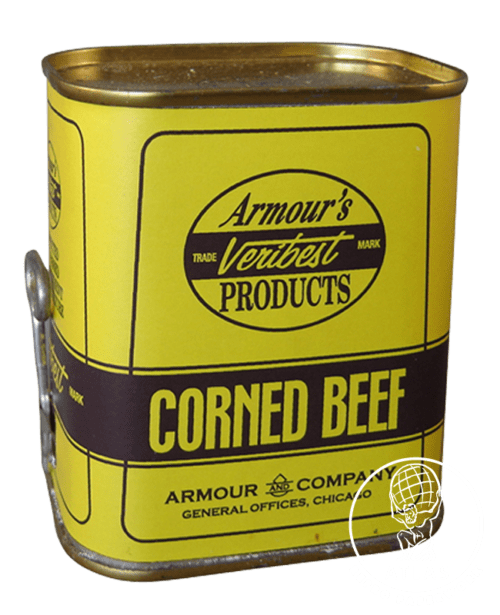 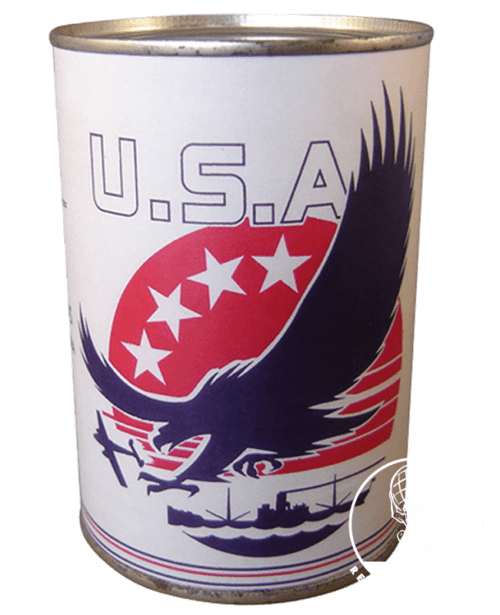 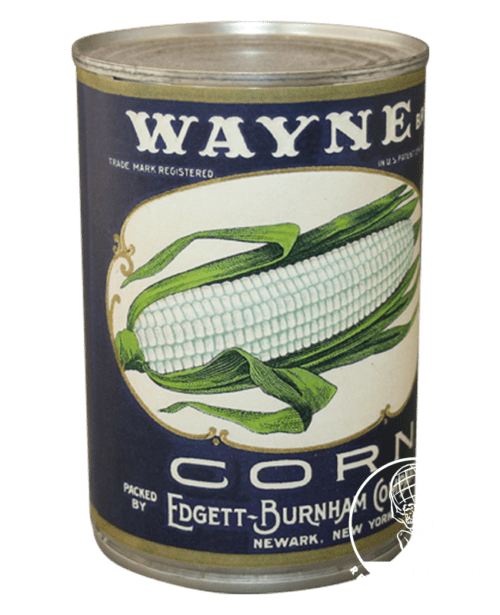 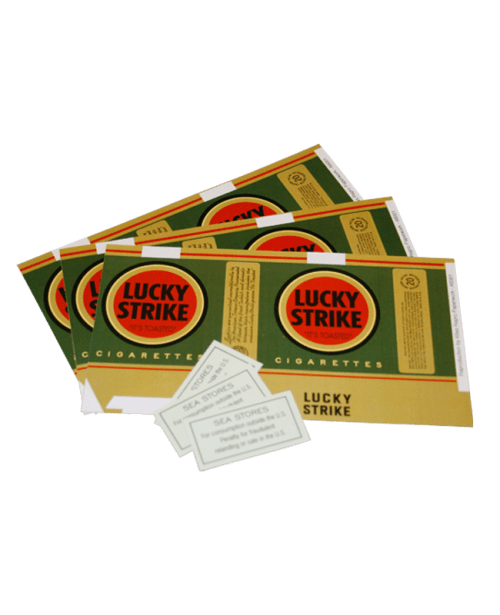 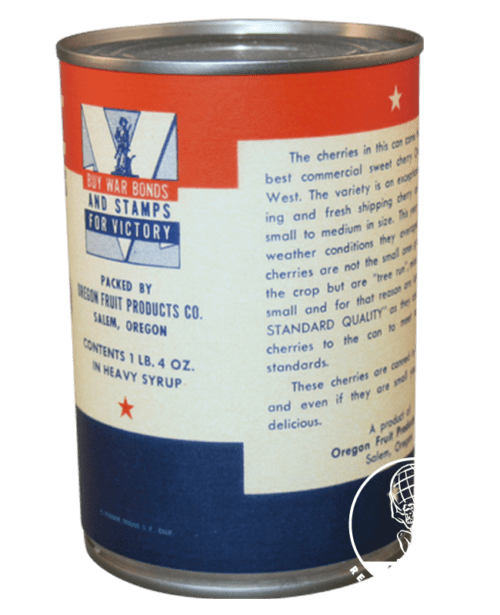 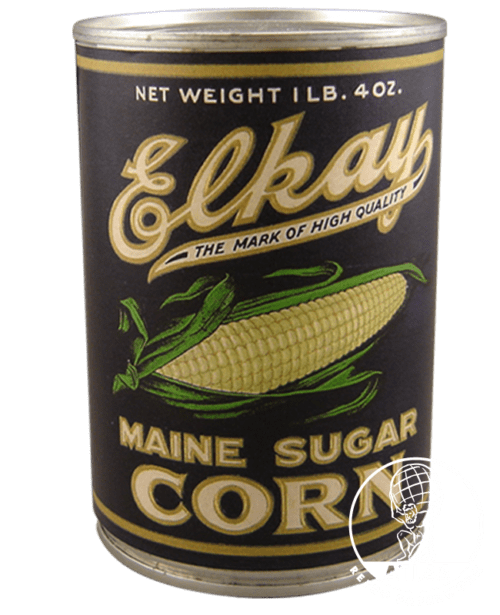 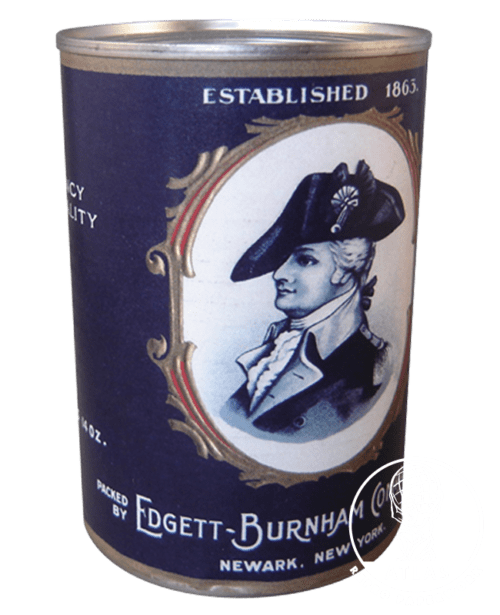 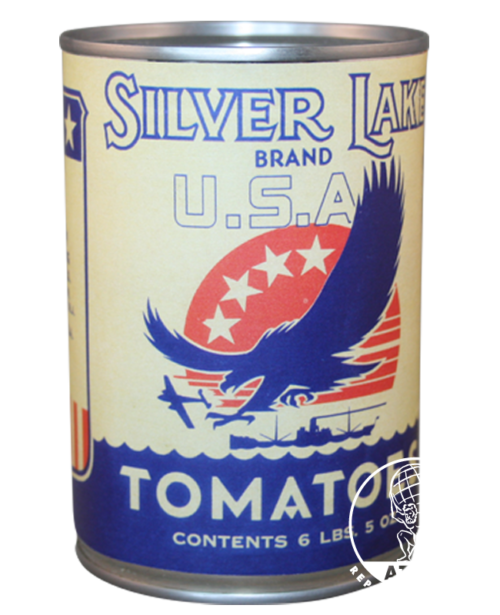 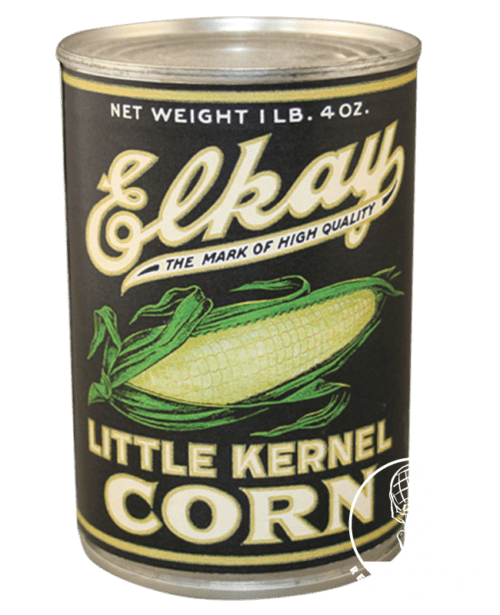 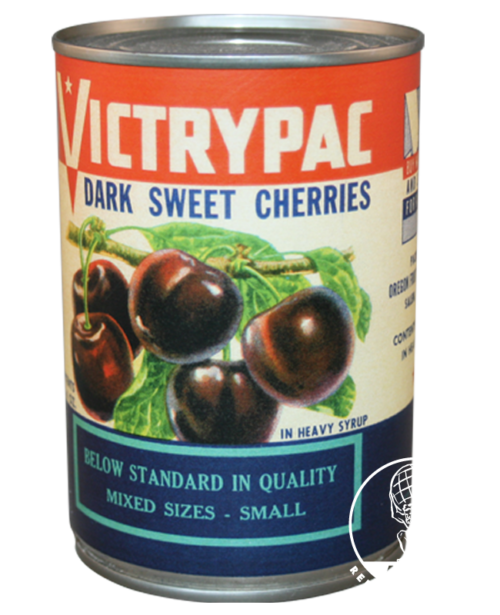 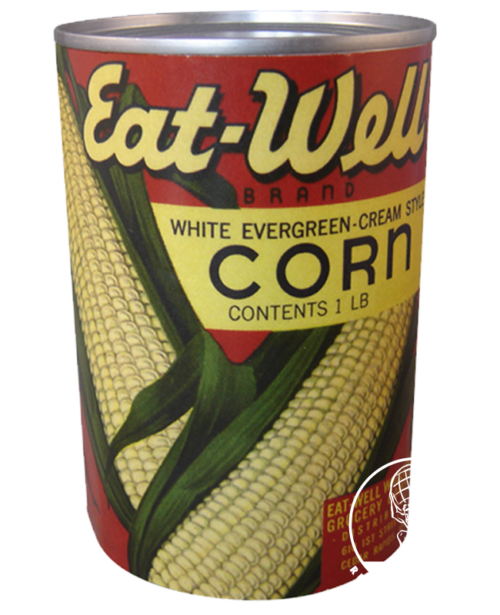 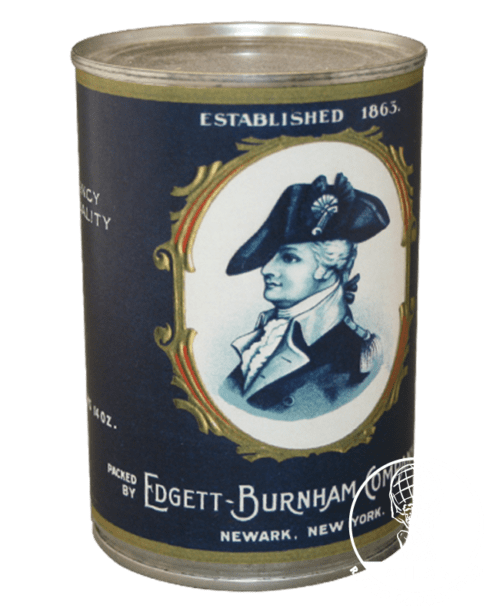 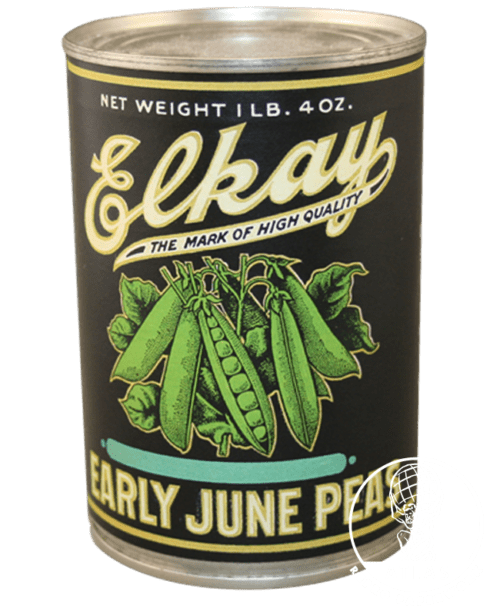 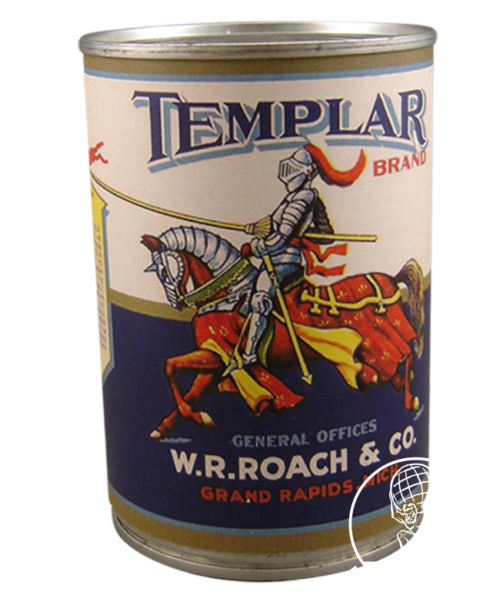 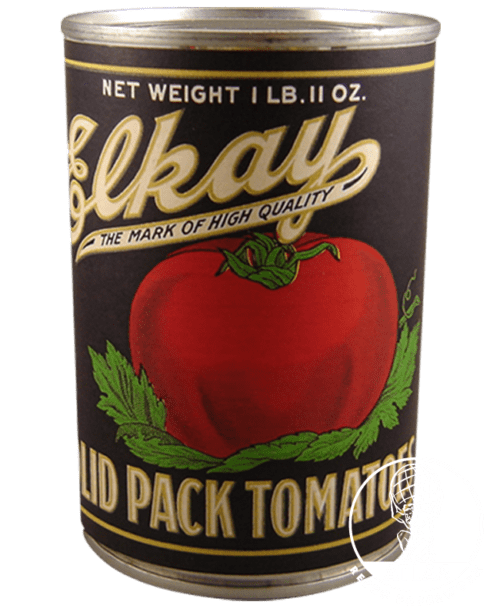 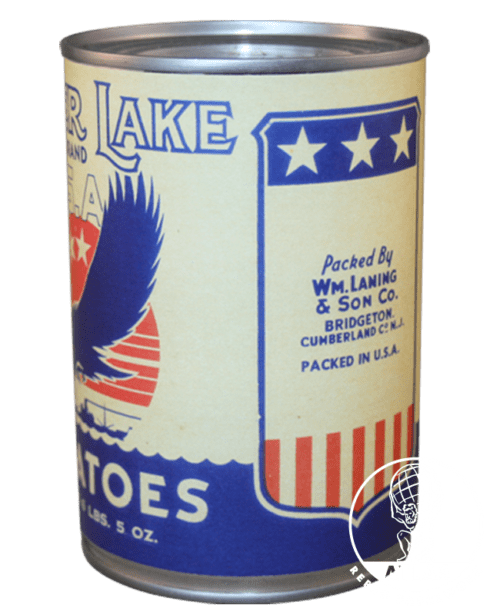 Reproduction of a wartime American label which fit on a modern (400g) tin. 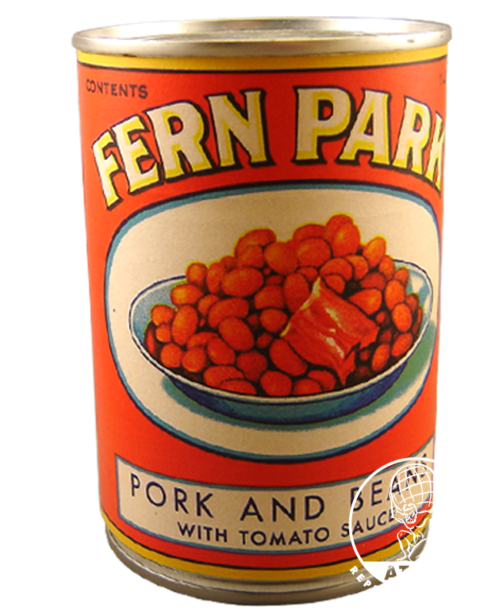 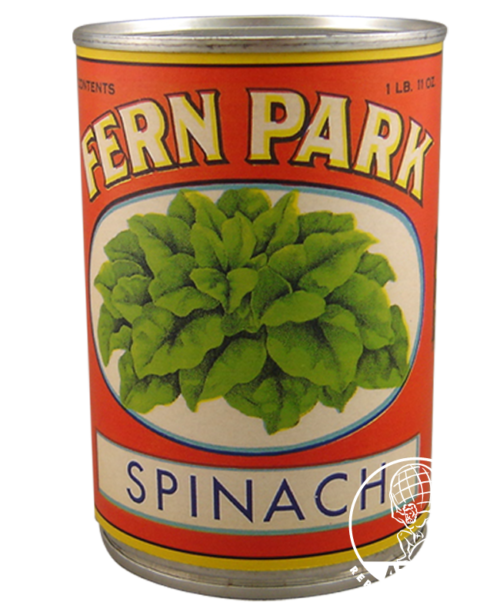 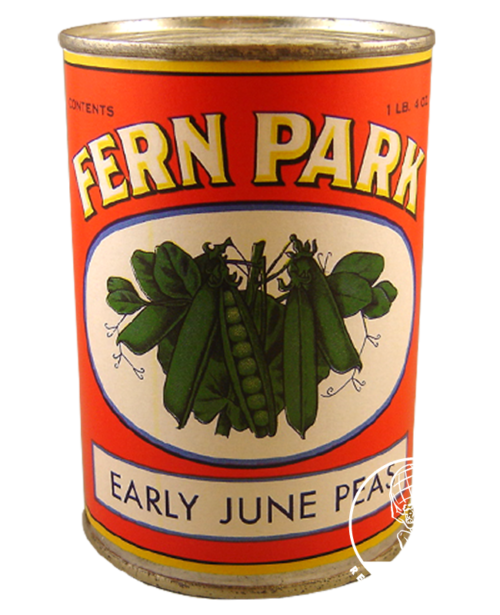 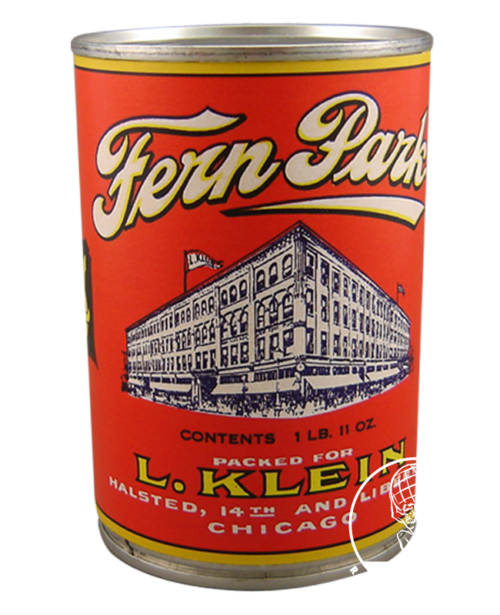 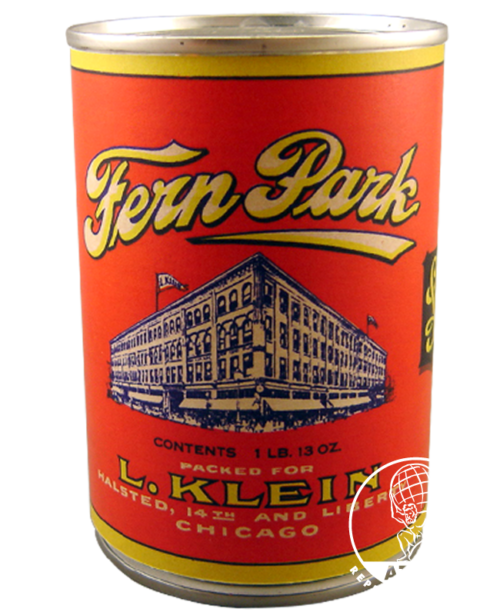 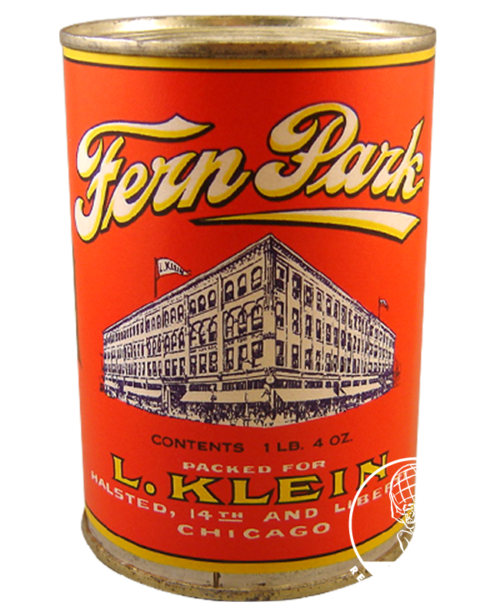 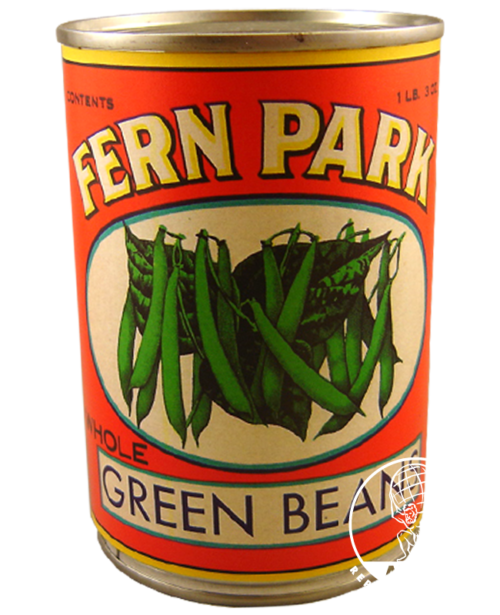 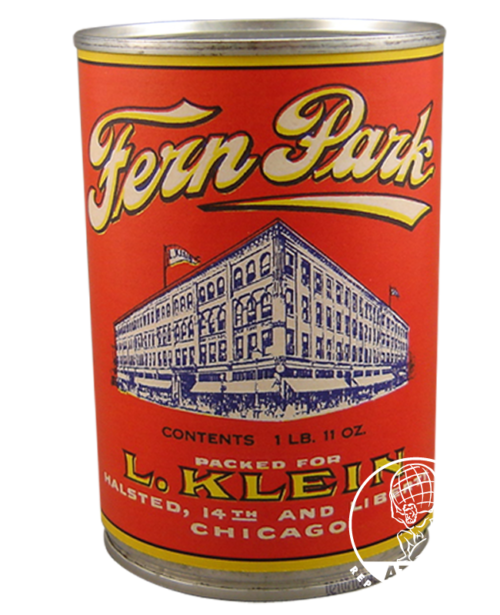 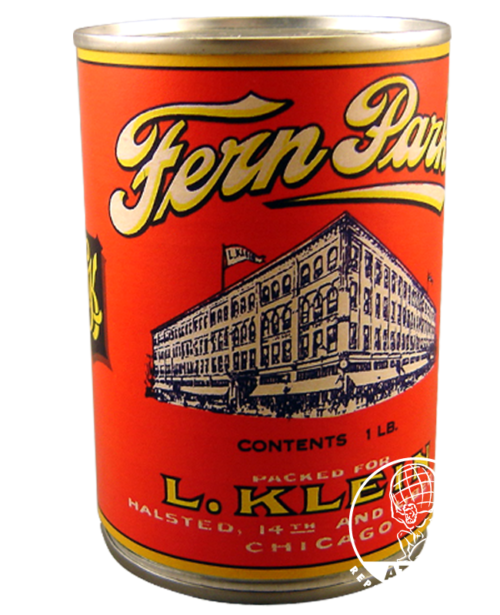 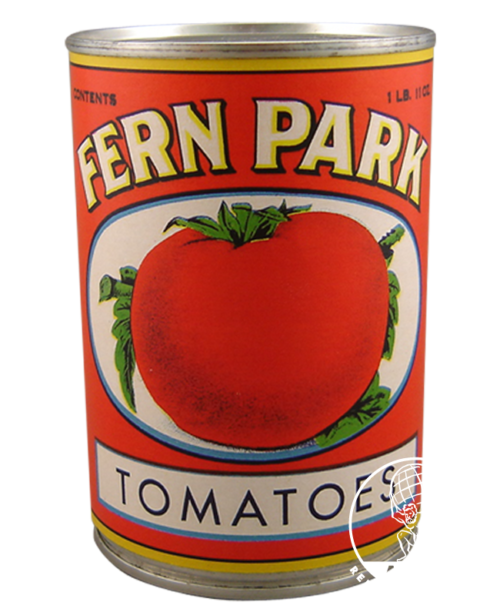 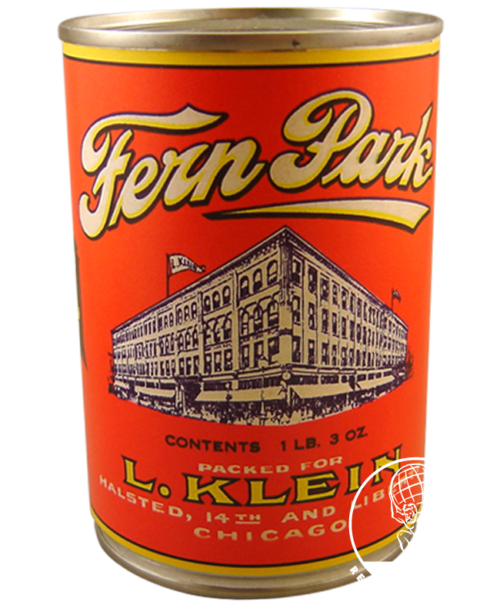 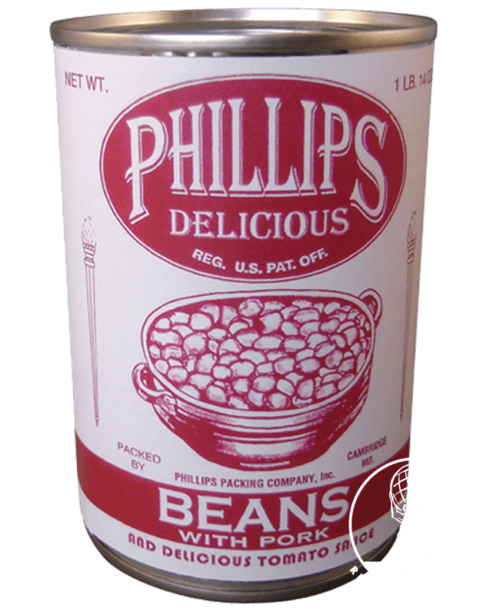 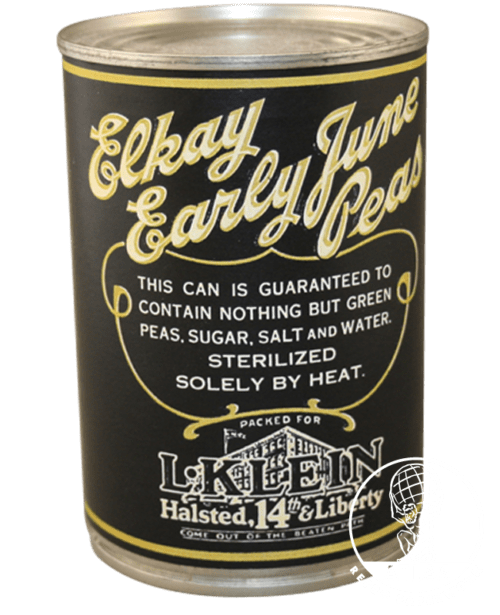 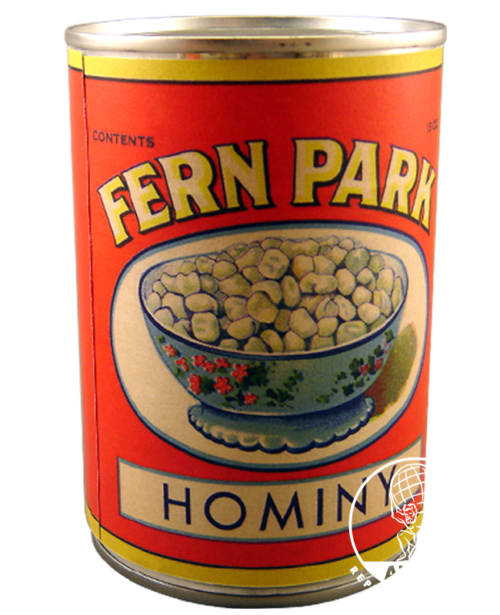 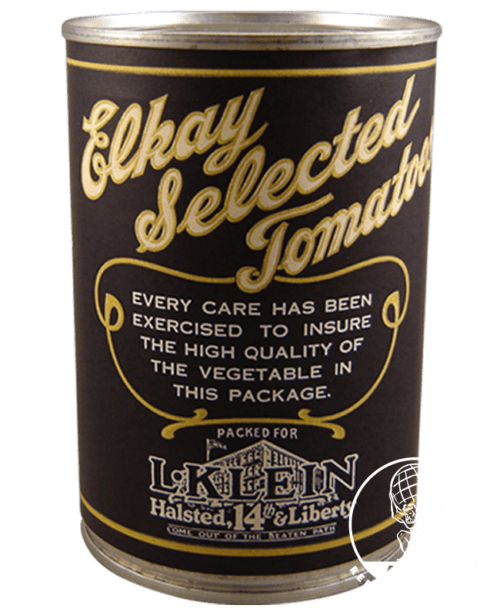 Reproduction of a 1930s and wartime American Fern Park Pork and Beans with tomato saus label. 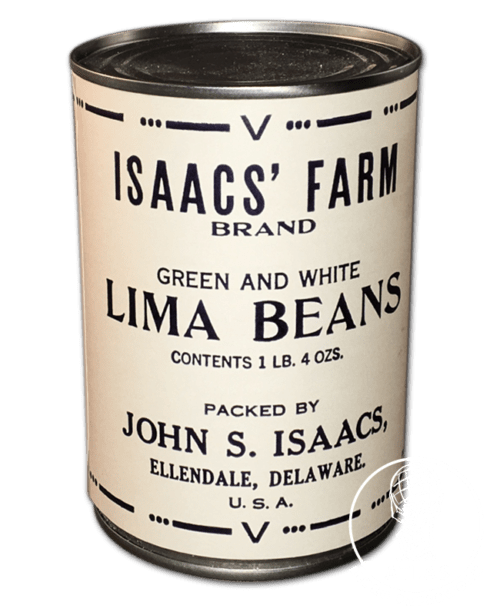 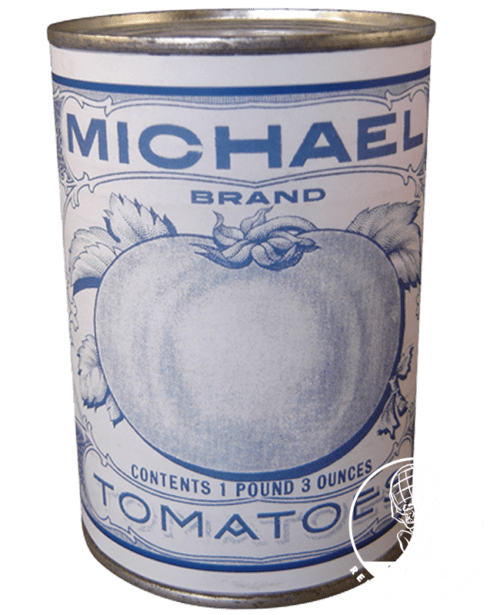 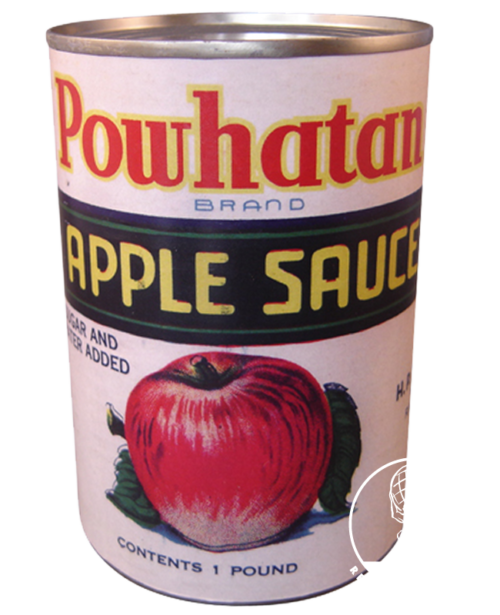 Reproduction of a wartime American Isaacs' Farm Brand label. 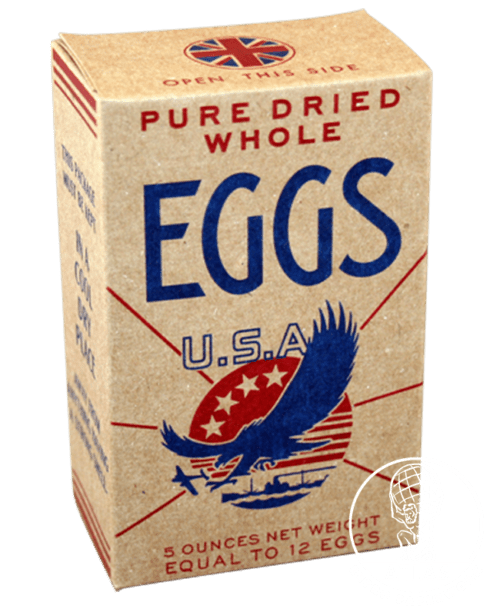 Reproduction of a wartime Dried Eggs Box. 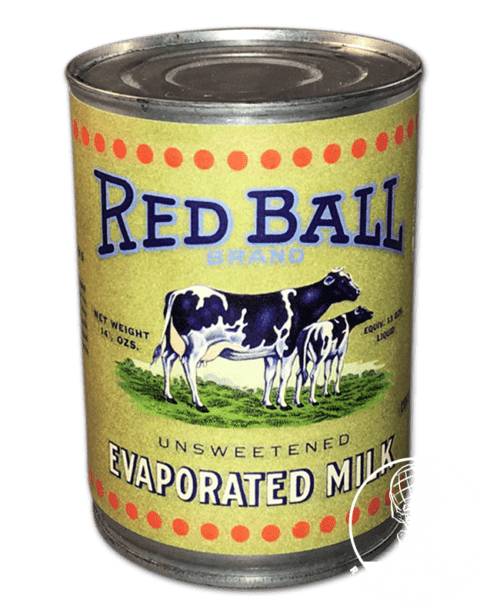 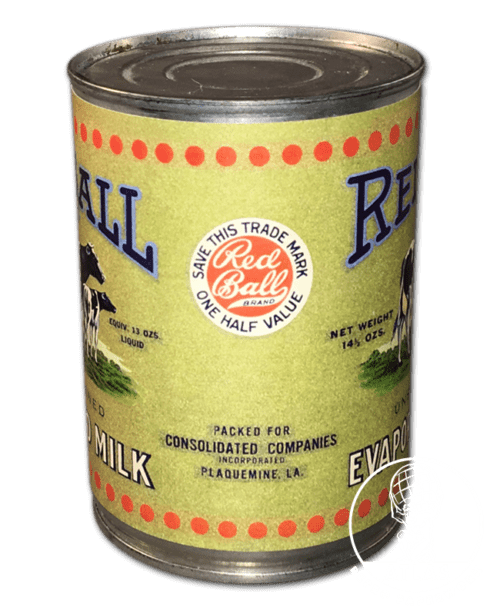 Reproduction of a wartime American Red Ball Evaporated Milk label. 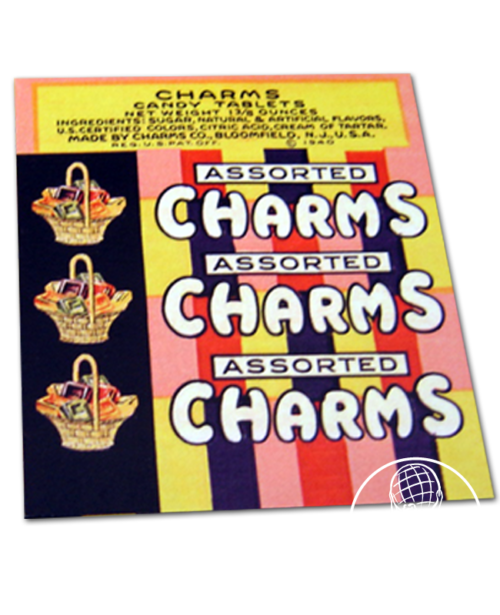 Reproduction of a wartime (1940) American label of Assorted Charms Candy. 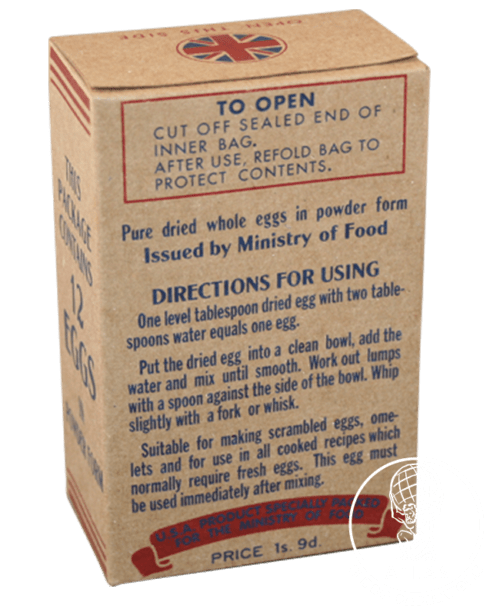 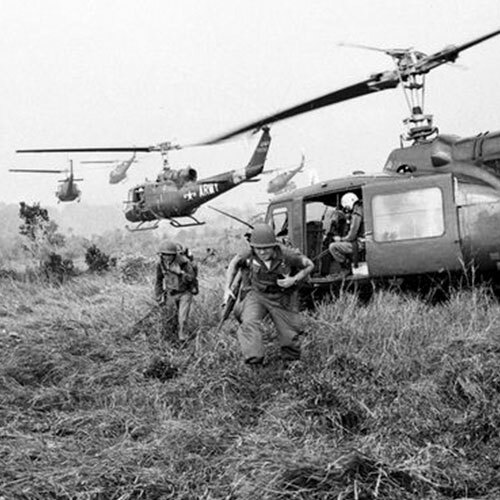 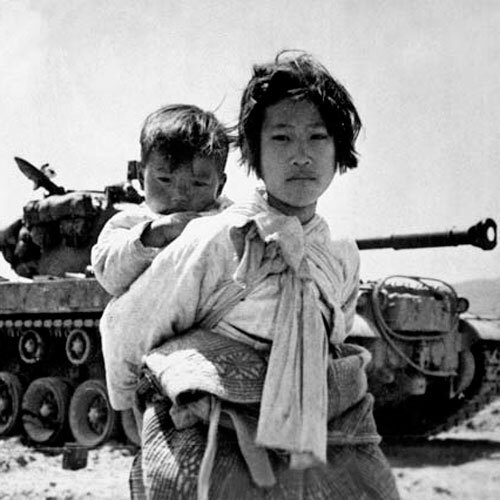 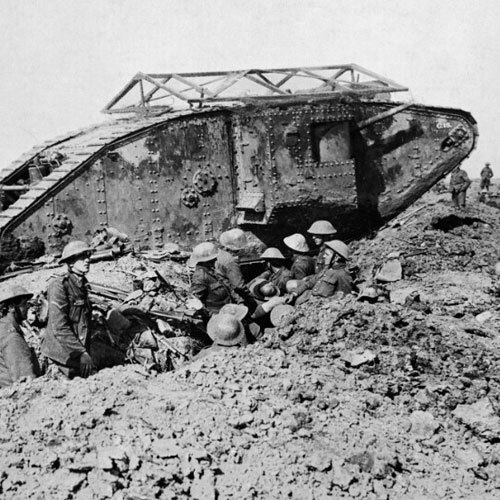 As used within K-Rations. 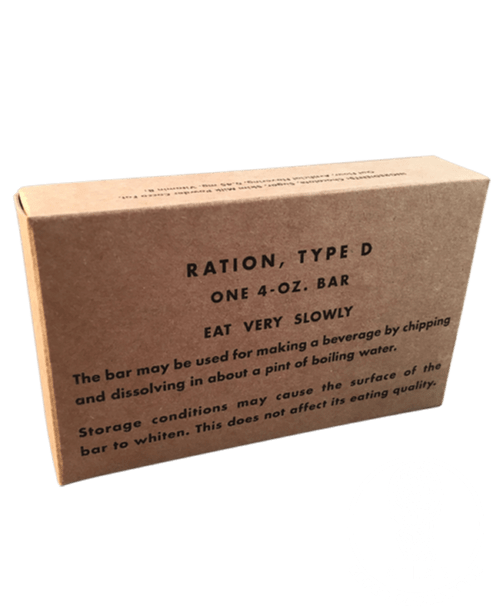 Reproduction of an original WWII US Army Field Ration, type D chocolate box. 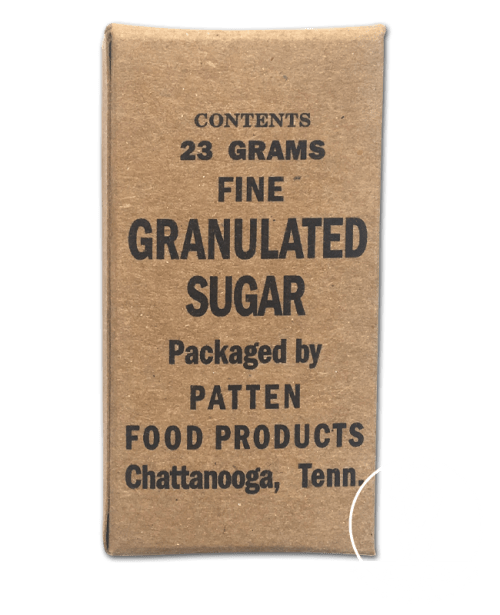 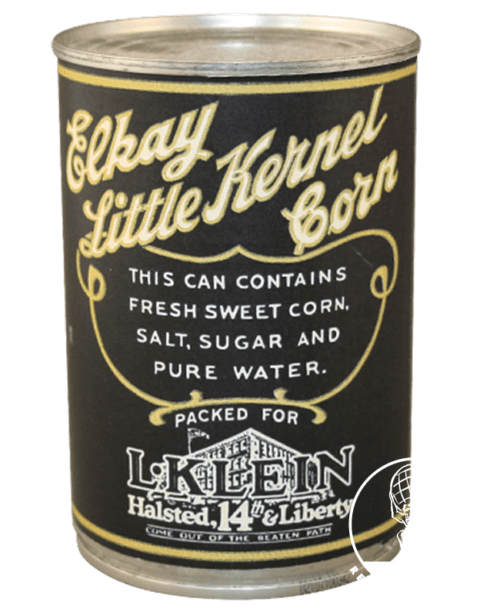 Reproduction of an original WW2 US Army K-Ration Granulated Sugar box. 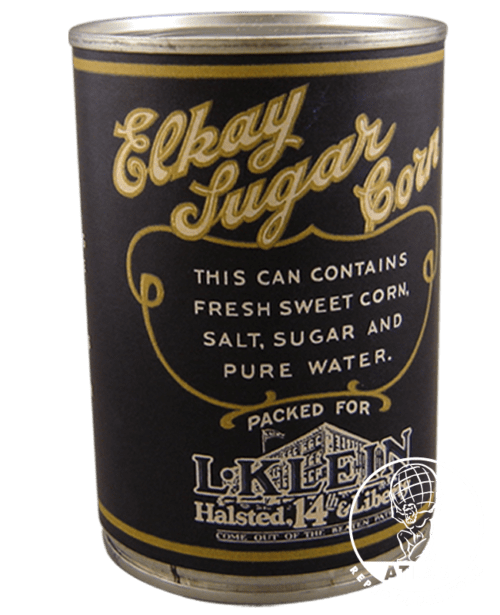 The Granulated Sugar box is empty.